Maldives Police Service has arrested a suspect who mugged a migrant worker at knife-point in the Henveyru district of Male’ City this Thursday. Maldives Police Service reports the migrant worker was mugged as he walked along the Lansimoo Goalhi located in the Henveyru district of Male’ City at approximately 12:15 pm this Thursday. The mugger stole MVR 50,000 which the migrant worker had on him at the time. Maldives Police Service reports the suspected mugger, identified as a 20-year-old Maldivian male, was arrested by police officers attempting to flee the scene. 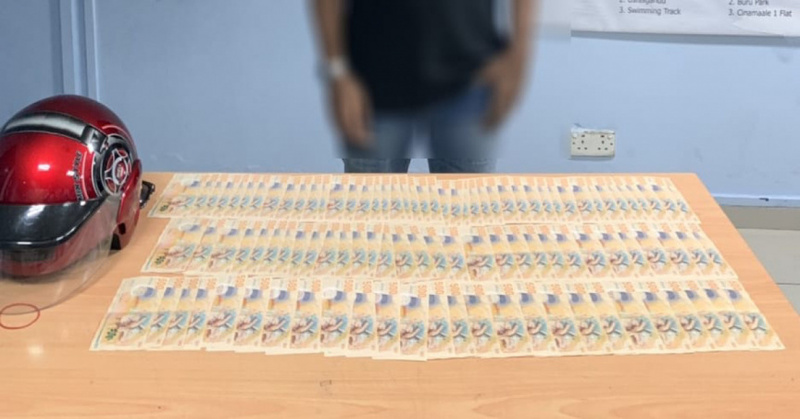 “He was arrested on the run after threatening a migrant worker with a sharp weapon and stealing his money while wearing a helmet,” reports Maldives Police Service. The suspect was caught fleeing by a patrolling policeman. Maldives Police Service reports it has launched a formal investigation into the mugging.